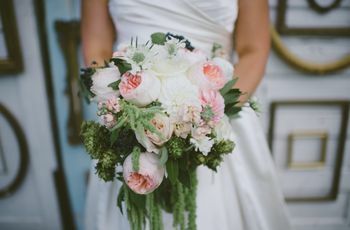 Looking for a fresh way to display your wedding flowers? 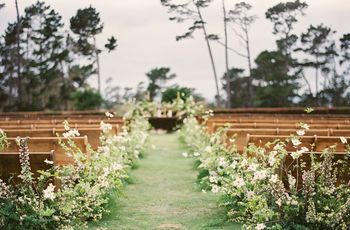 Try arranging them up above! 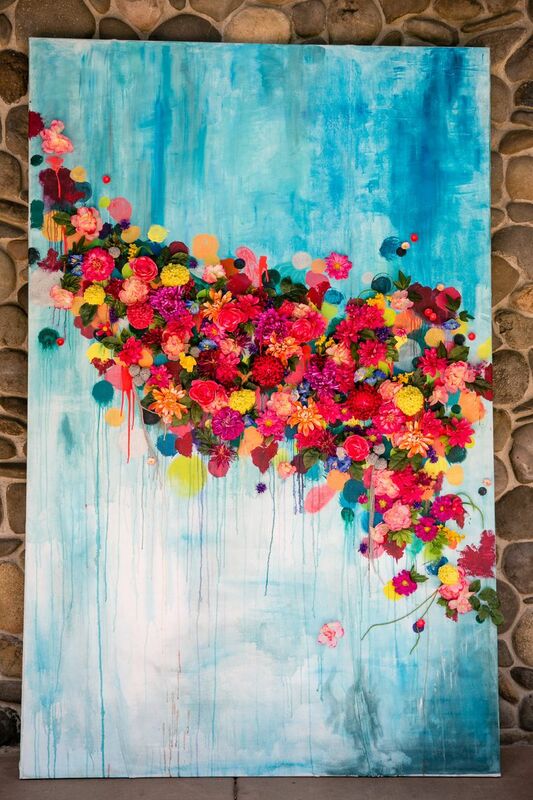 Keep reading for 11 inventive ways to hang your blooms. 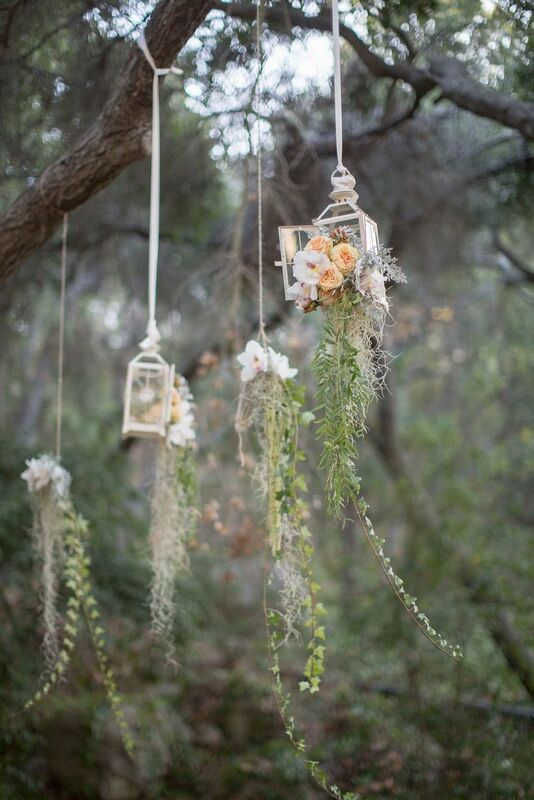 Spruce up a simple chandelier frame with lush garden flowers. 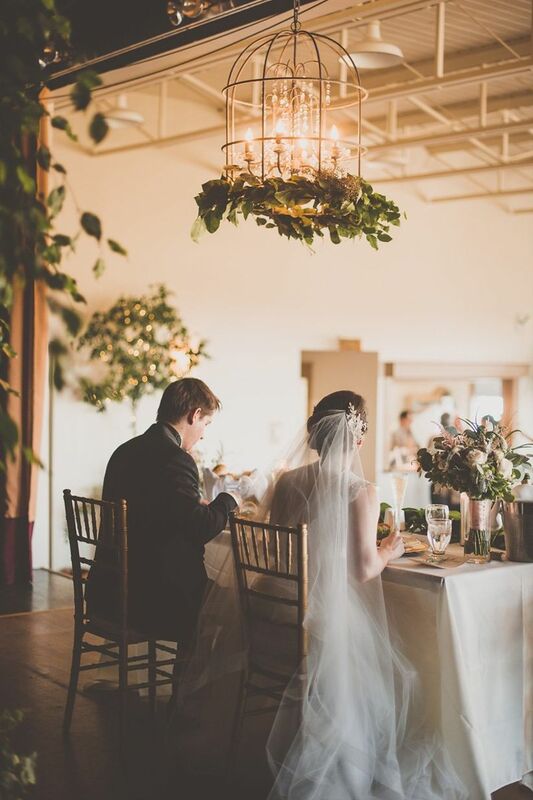 Have blooms and greenery spill from decorative lanterns for an unexpected, romantic look. 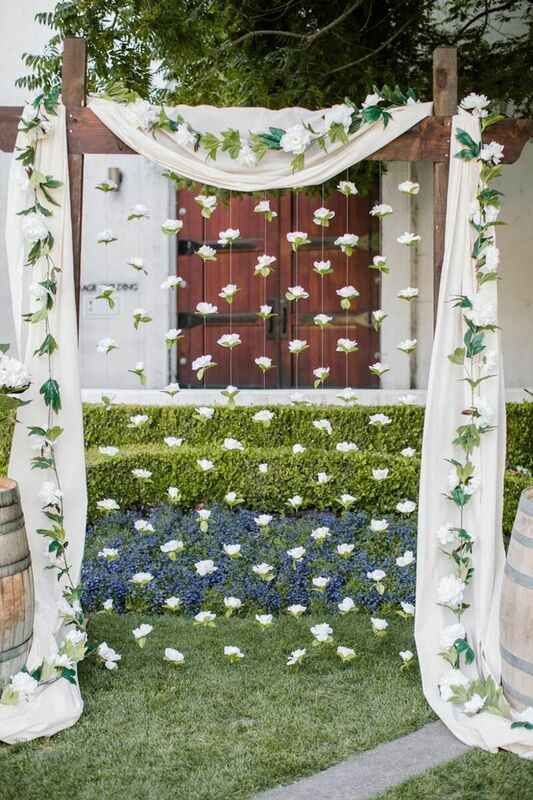 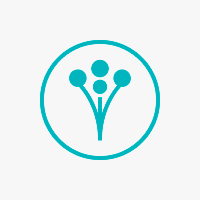 Create a fun photo backdrop with clusters of blossoms, and then encourage your guests to strike a pose! 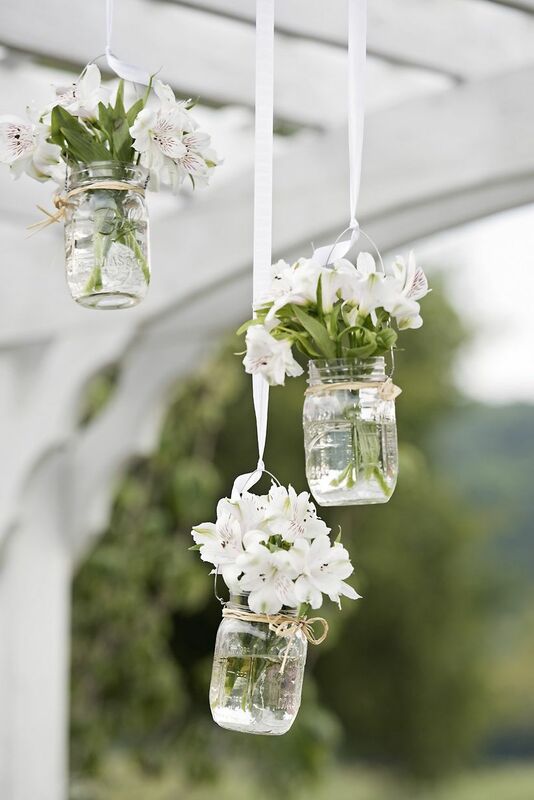 Fill recycled glass jars with roses and wildflowers for an easy-to-execute display. 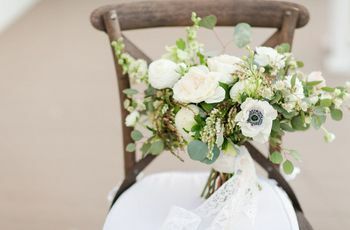 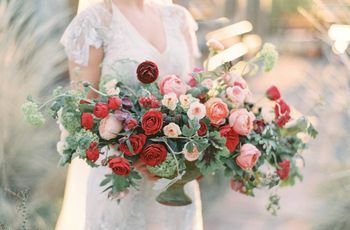 For a vintage-inspired wedding, fasten fresh flowers or greenery to an antique birdcage. 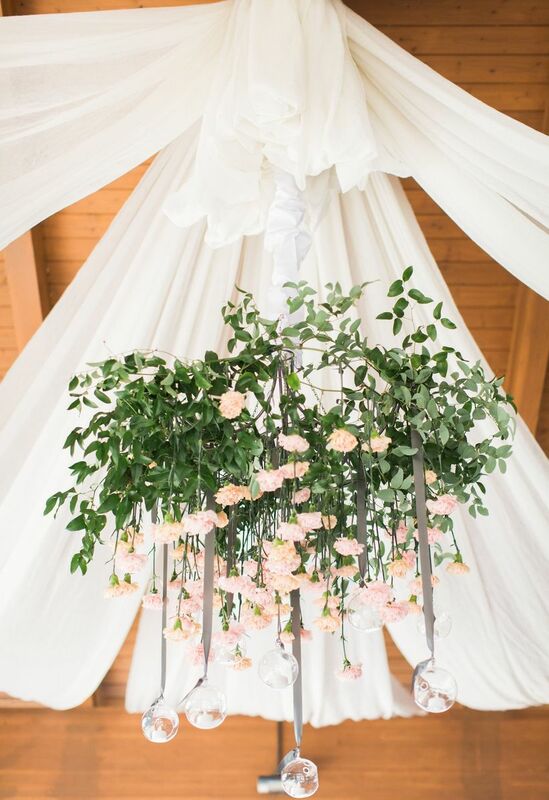 Arrange blooms atop a suspended ladder for an unexpected floating accent! 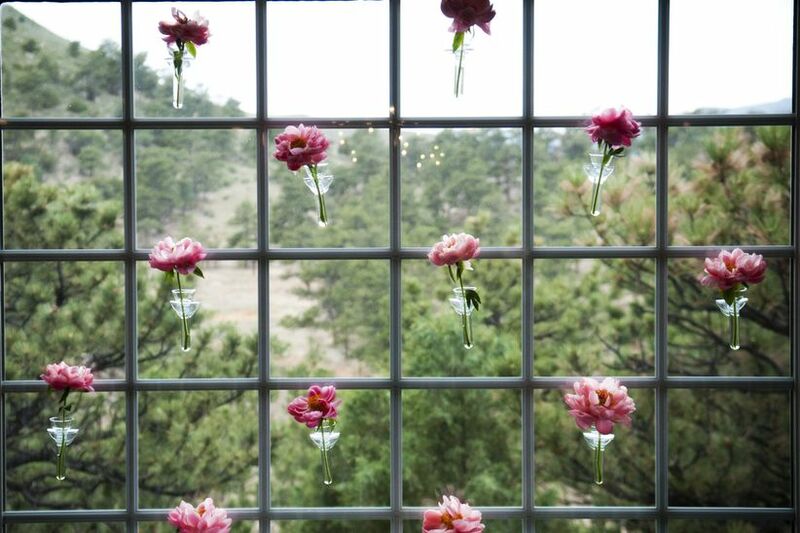 Chain buds together with thread, twine, or cord for a fabulous floral curtain! 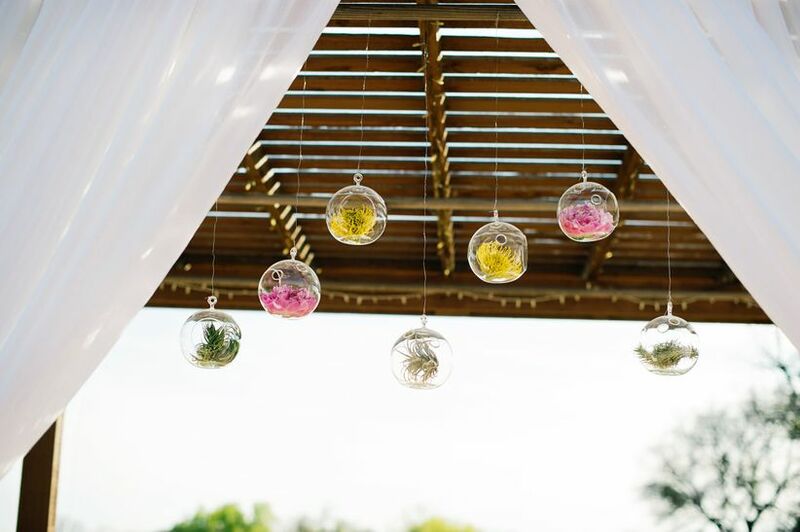 Fill hanging glass globes with little floral clusters for a modern garden feel. 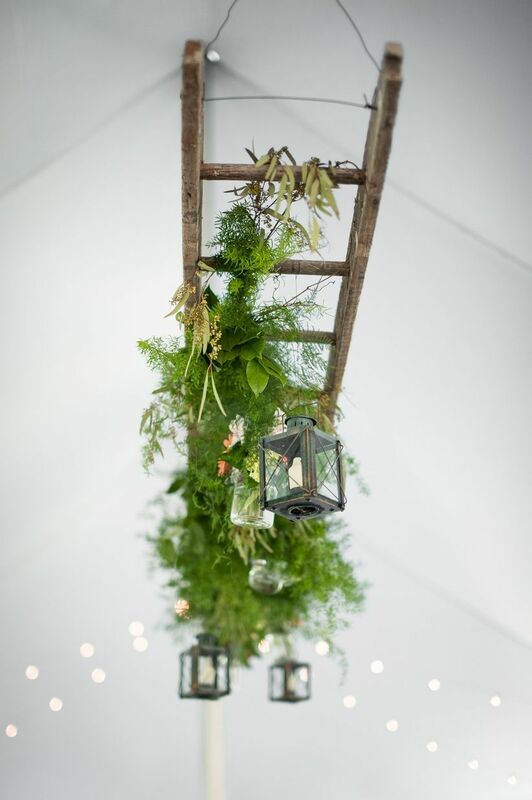 For a modern twist, stick individual stems in test tubes and hang them from the ceiling, or use suction cups to fasthen them to a window. 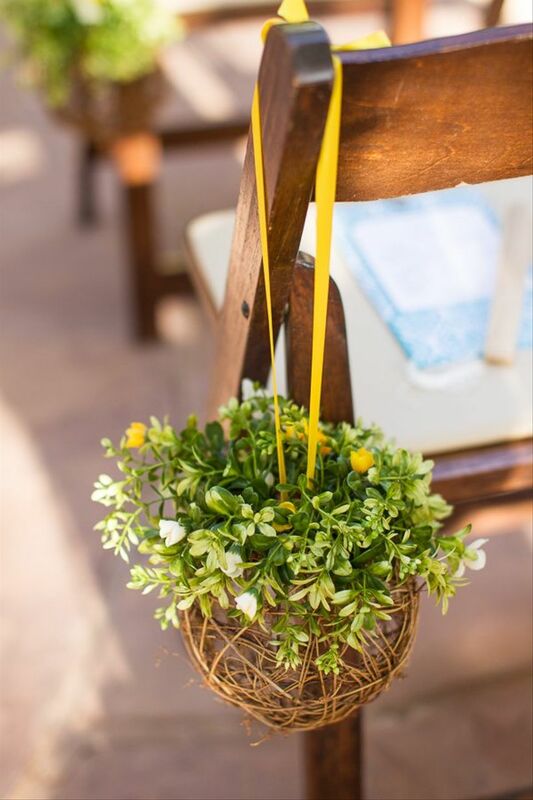 Display flowers in wicker baskets or bundles of grapevine for a sweet, freshly picked look. 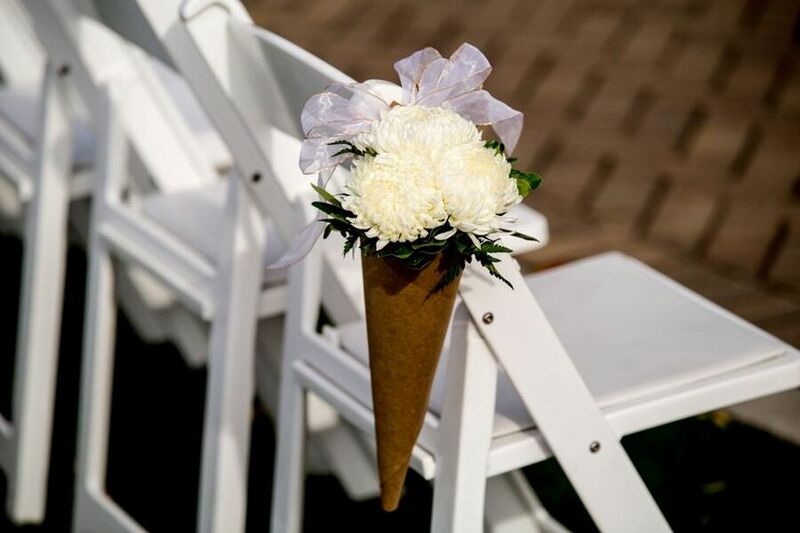 ConesPlace a few stems into petite paper cones and hang with ribbon.